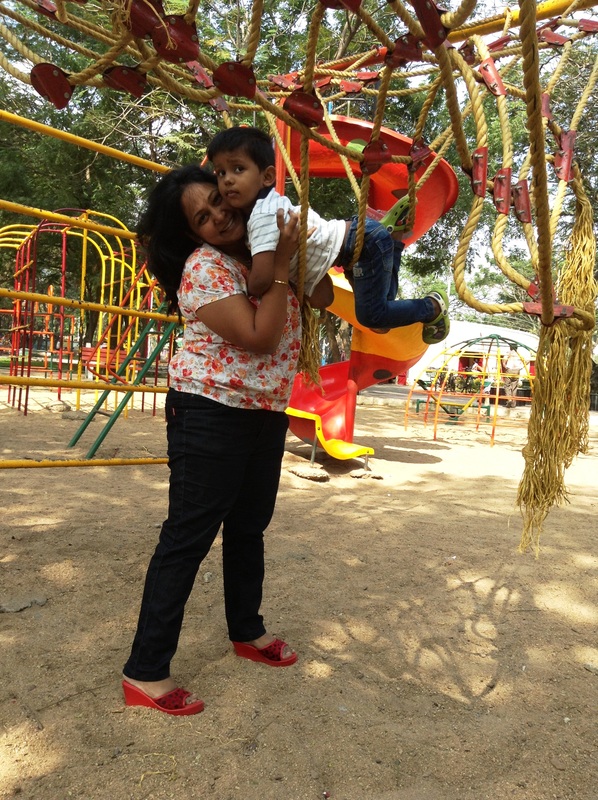 Deepa Jayaraman, a single mother for two years, a senior media industry professional, and a follower of this blog, shares the secret of securing her child’s future, from the day she realized that the luxury of being a DISK (Double Income Single Kid) didn’t exist anymore. The eventful night of Jan 21, 2012, I knew I was destined to lead a single income household. My family, friends thought I would pull it off as a single mom, but I had ghosts to face. I stared at my sleeping child’s face and drew confidence from him to brave the ghosts. I knew that the big housing loan eating up 20% of my salary, personal expenses, lifestyle expenses, kids education, medical and maintenance would mean, no savings, no money will be left for investing. I feared about a hand to mouth existence. Can I afford the lifestyle I am used to and for how long? Can I afford a good education for my son and yet manage my livelihood? Am I insured enough to ensure a secured future for my baby? Physically,will I be able to ensure hardship, till my son becomes independent? This is how I went about overcoming my fears. A. Decent Life Cover and a Health Cover: Pure term plan (with a few riders) is a cheap and very effective option. I calculated my requisite life cover based on the approximate basic expense of my son till he goes to pre-college (education, medical expenses, food, maintenance, entertainment). I did not take into consideration the “wants” for gadgets, fancy, international schools, vacations, cars, expensive clothes. I worked out a basic figure, and for that amount I picked a term insurance. So, even if something were to happen to me, my child still gets food, a decent education and survival essentials. The next thing I did was to get myself a health insurance. The cost of medical treatments can potentially derail well laid out financial plans. I compared health insurance policies and picked one that was decent enough to cover a life threatening aliment. B. Child Education (insurance) Policy: This is to cover up for the education costs of my son. I felt that should my salary dry up or stagnate, my son will not be able to afford higher education. Hence I picked a child education policy for him. It serves two purposes – build a corpus for his needs and also cut down my expenditures on not-so-critical-elements. Also I started systematic investment plans (SIP) in equity funds to ensure higher return on investment in the long term. Besides providing for the long term goals, I had to account for daily lifestyle expenditure. With experience, I learnt some of the money-drainers and came up with ideas to avoid them. 1. Replace Mall Visits with Nature Visits: One mall visit can drain out Rs 5,000 from your wallet. The parking charges, movie tickets, popcorns, shopping, play zone games and toys are compulsory expenses once you are there. I realized that malls weren’t satisfactory. The kid still hates you because you did not let him play an extra game or buy him the extra toy. I started looking at other options such as gardens, zoo, parks, museums, circus, fairs etc. Garden visits are free, whereas museums & zoos might cause not more than Rs30-50 while circus is just Rs 100. It was a better way to bond and the visits become a discussion point for pillow talks for weeks. The excitement to visit these places also builds up. 2. We turned Chefs at Home: Eating out can be another money drainer with a pre-schooler who wants everything but ends up eating nothing. You end up with a deep hole in the pocket and in the heart. Shlok and I prefer to bond over cooking. It is fun to get him to beat eggs, or juice the fruits, or squash tomatoes, make sandwich faces and involve him in kitchen tasks. So when it is ready, he feels that he has made it. The child is proud of what he has made and he ends up finishing his meal. It’s cheaper at home and healthier too. 3. Vacations on a Budget: The money-drainer in vacations is usually accommodation and food. Besides planning holidays in advance, I started choosing destinations where we could stay with friends, families, hostels, instead of staying at hotels. The cost is then just for the flight tickets, sight-seeing and some food. 4. Toys and Games: My rule is to avoid taking my son to a toy store as he would want everything and I would come out feeling miserable. Instead I try to make best use of the toy libraries around in my city. Some of them have books too. Use of toy libraries has helped taught my 3-yr-old to be careful with toys, books and he doesn’t have the inclination to destroy them. 5. Replace Personal Trainers with Youtube Training Videos: Instead of spending on gym, I exercised by watching aerobic videos at home. I saved on time and money. I became a sucker for online deals for beauty packages or fashion wear. These measures, although small but did help me save significantly over a period of time. My savings are up by 30% since I went single. But I can’t quantify the peace of mind I get when I think of being well insured and ready to take on the future. I must admit that my attitude towards money, savings also contributed to this financial stability which I can boast of today. Ever since childhood, I would save my pocket money. When I started earning at the age of 21, I would save my income and take pocket money from parents to meet my daily expenses. My sister Gayu on the contrary, would spend her money buying some fancy stuff, and I would bum it away from her and yet always chide her for spending! Thanks Rachna for giving me this wonderful opportunity to contribute and share saving ideas with gruhinis. Cheers!